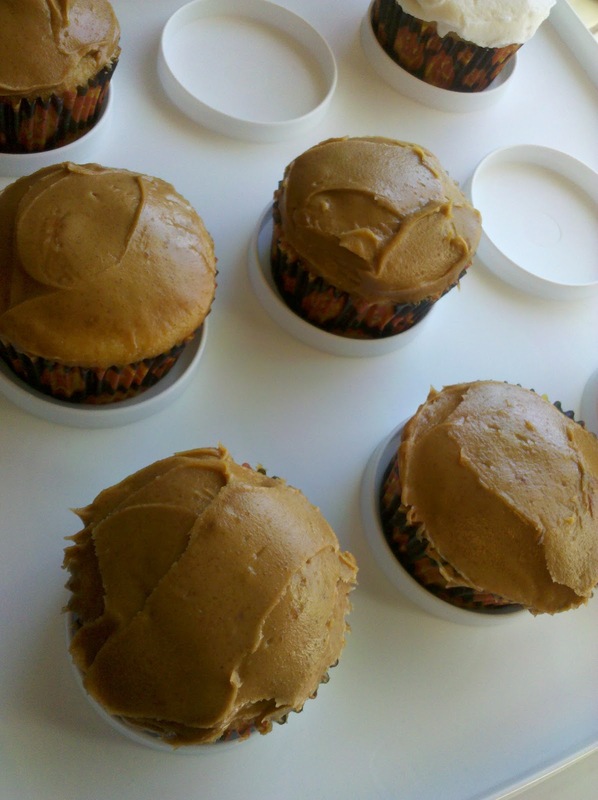 A different way to eat PB and J, these cupcakes are sure to hit the spot for any lover of America's classic sandwich. It's also a great solution if you don't have any cupcake frosting in your cupboard. The recipe is easy. Seriously easy....as in cupcake mix easy. Bake cupcakes directed on the package. 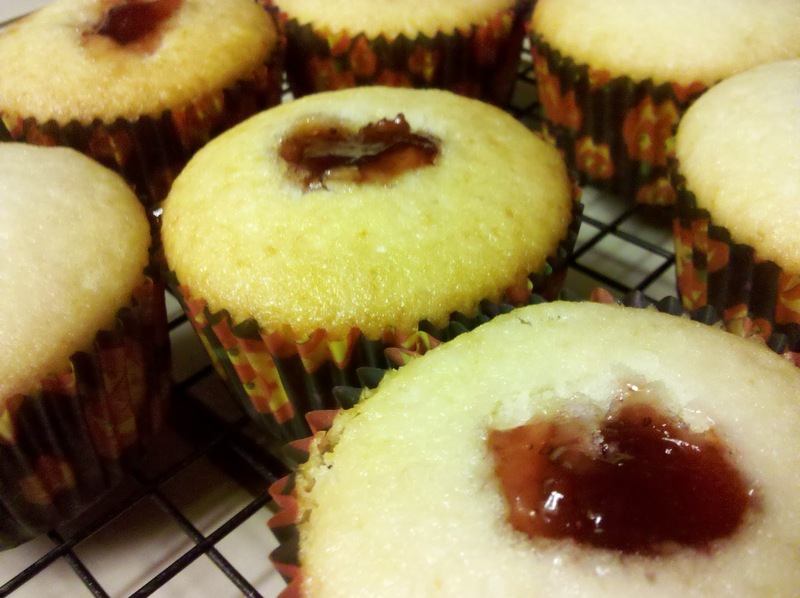 Using end of wooden spoon, poke hole in cupcake and "pipe" jam into the hole (see below). Spread top with peanut butter (we love creamy PB). These are great warm too. just pop in micro for a few seconds and enjoy! Looks delish, can not wait to try the recipe..yummm!